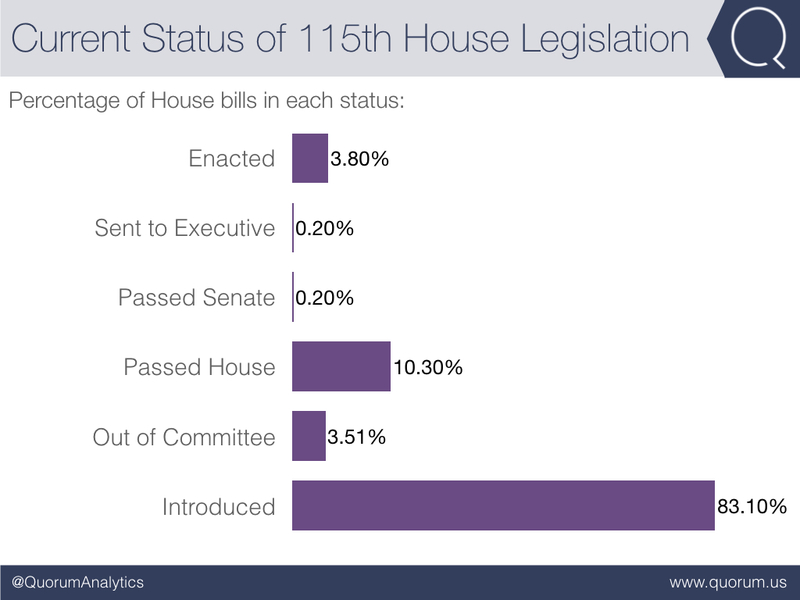 Welcome to Quorum’s Congressional Activity Tracker—a dashboard for monitoring what's happening on Capitol Hill. 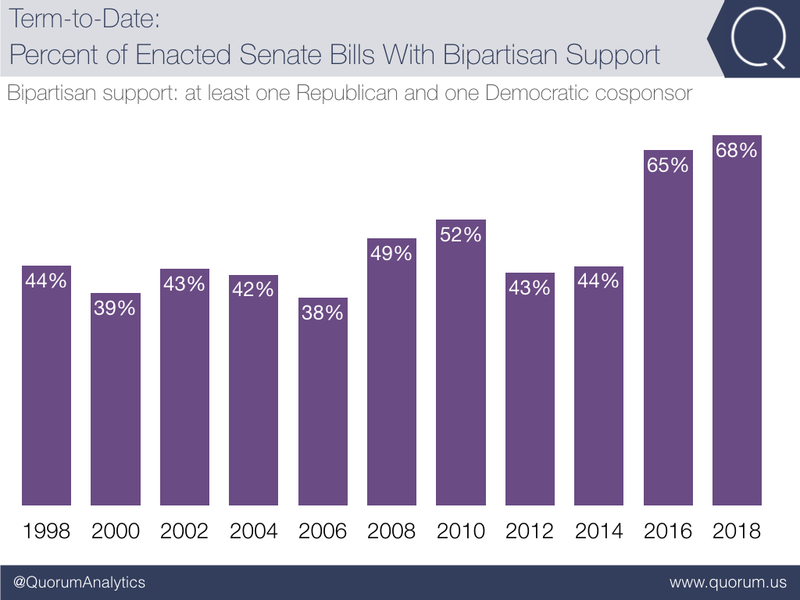 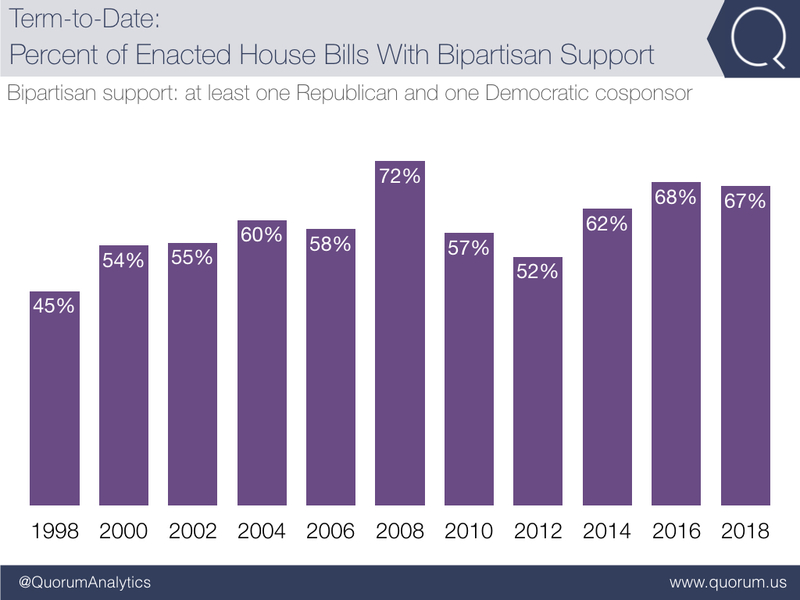 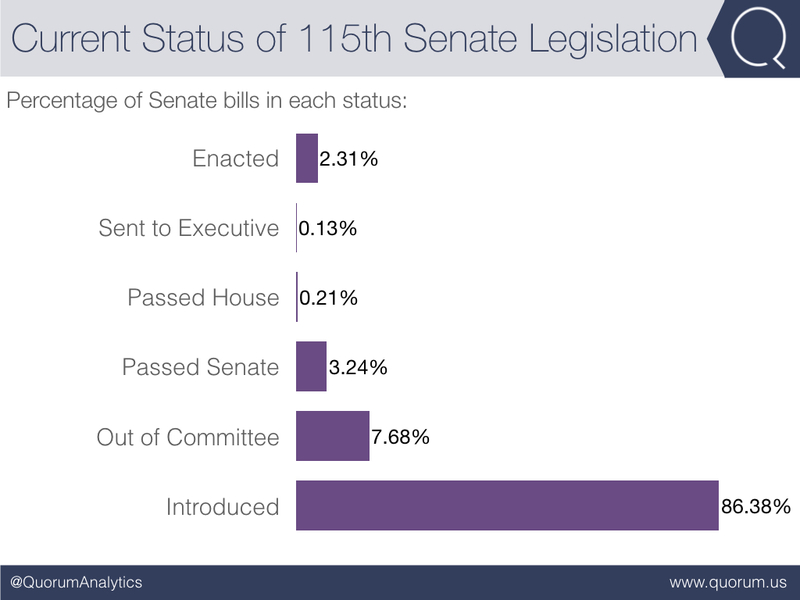 Using Quorum Federal, we’re tracking how the current Congress compares to past Congresses. 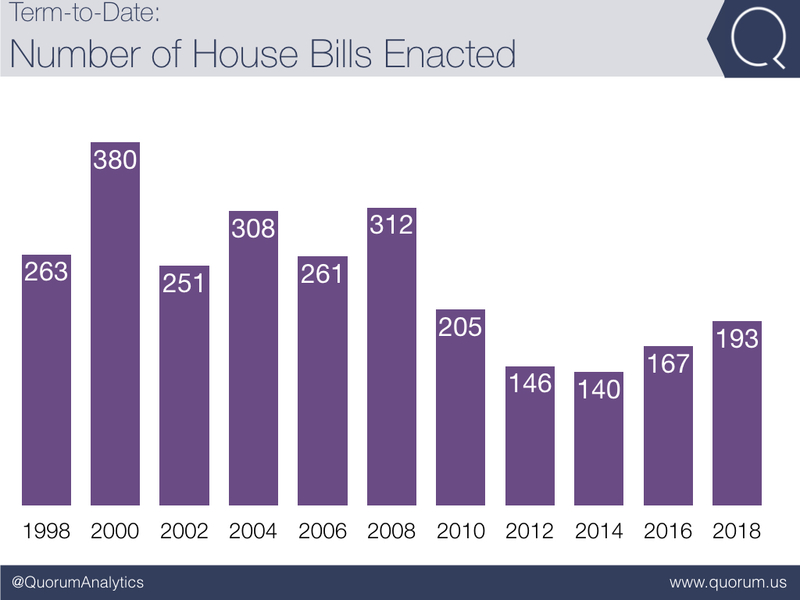 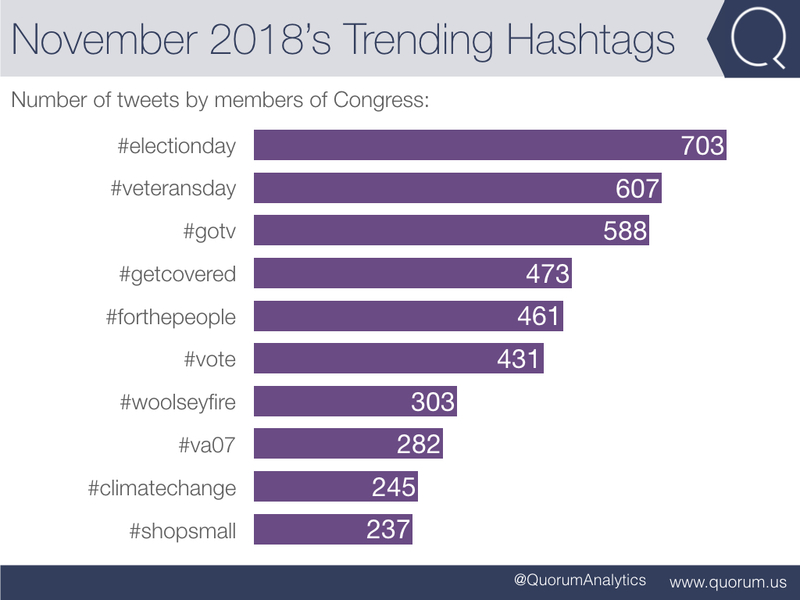 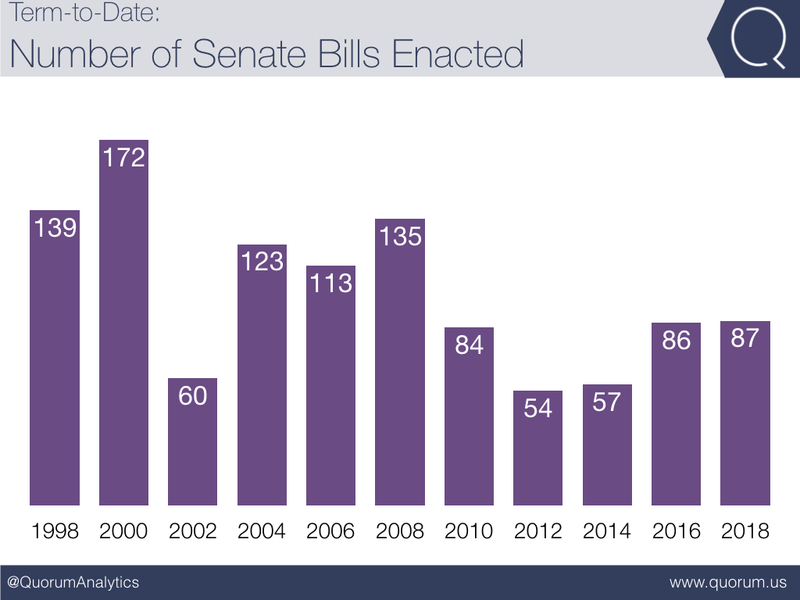 Each week Congress is in session we’ll update you with the latest numbers on bills enacted, bipartisan bills enacted, status of legislation, and the trending hashtags used by members on social media.